Bulgaria beach holiday booking conditions. With BeachBulgaria.com you can book a holiday at the most reasonable price. 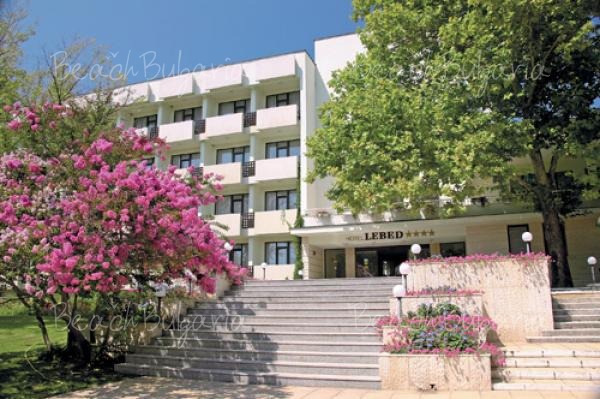 We offer the biggest choice of hotels and other types of accommodation in the major beach resorts in Bulgaria. Choose from the best beach holiday offers. Use the Search Form to your left to find the best deals! You can check prices and make your choice. Then you can proceed to reservation by clicking on the "book online" button, conveniently placed on all pages. You fill in a simple reservation form, specifying hotel, period of stay, your personal detials, number of people, number and type of rooms/apartments, meals and additional services if you'd like such. On the next page you can review all details of the reservation and correct them. Then you proceed to online payment by credit card, PayPal, or by bank transfer. After successful payment you will received an e-mail with your booking confirmation. Within 1 business day you will receive by e-mail an accommodation voucher that you need to show at the hotel when you check in. Please check also your spam/junk e-mail folders. If you are not sure where you want to go for your holiday and would like to get advice, or if you have specific needs and questions, you can submit an inquiry about your booking - we will answer within 1 business day. Reservations with early booking discount, last minute discount or any special offer will be accepted until 12 o’clock on the last day of the discount. We do not guarantee that reservations received after this hour will be confirmed with Early Booking/Last minute/Special offer discount. Reservations with Early Booking/Last minute/Special offer discount have to be paid according to the validity of the discount. If the reservation is not paid on time it will be cancelled. Any changes of reservations with Early Booking/Last minute/Special offer discount will be considered as a new reservation and the discount will be lost. At the time of booking you are required to pay either a deposit or the full cost of most hotels, vacations, transport services or other services, listed in this website together with any pre-booked extras shown separately on your booking confirmation. When you make your booking you guarantee that you have the authority to accept the terms of these booking conditions on behalf of your party. As soon as the booking has been made, credit card authorisation for the deposit, or full payment will be cleared. We will then issue a confirmation invoice whereby a contract exists between us, and all conditions became binding on us both. You can pay online by credit card, by Paypal, by bank transfer, cash or by credit card in our office. We accept Visa, MasterCard and American Express credit cards. No fee is due for credit card payments by Visa and Mastercard and 2% additional fee is due for payments by American Express credit cards only. We do not collect and store card details. Please note that when paying by credit card, the company name "Silky Holidays" Sofia, Bulgaria will appear on your credit card statement. If you have a PayPal account and wish to pay by PayPal please note that due to the substantial fees, charged by PayPal for payments to Bulgaria, a 3% additional charge is applied for PayPal payments only. You can find us at 78 Krichim Str., Sofia 1164, Bulgaria. You can complete your booking by paying cash or with credit card directly in our office. Please make sure, that you notify your booking agent in advance, to help us provide you with fast and efficient service. You can complete the payment for your reservation by bank transfer. Please note that usually bank transfers may take a few days, so you have to complete the payment at least 5 working days before the date of your accommodation. Please note that you have to cover all the charges for the bank transfer and please notify us after transfering the amount! Please notify us after transfering the amount. You don't pay any fee for the online reservation. You can pay your reservation online by Credit Card or by MoneyBookers or PayPal, or offline by bank transfer. No fee is due for credit card payments by Visa and Mastercard. American Express credit card only - 2% additional fee is due for payments by American Express credit cards only. Due to the substantial fees for withdrawing money from PayPal to Bulgaria, 3% additional fee is applied to PayPal payments only. Should you wish to alter any part of your holiday arrangements please notify us at once. We will always try to assist in such cases. Where an amendment to the holiday is made more than 29 days before departure, an administration charge will be made. If the number of persons booked changes, the holiday price will be recalculated on the basis of the amended party size. Any increase in price as a result of a part cancellation (e.g. studio / apartments / chalet underoccupancy charge, or sole occupancy charge in a twin), is not a cancellation charge. All amendments and name changes must be made in writing to BeachBulgaria.com - Silky Holidays and the charges will depend on the date written notification is received by us. Any amendments made over the telephone must be confirmed in writing to BeachBulgaria.com and it is your responsibility to ensure that we have received it. If you need to cancel your holiday you can only do this in writing only before the starting date of the service. If you booked online or by telephone, cancellations can only be accepted in writing by e-mail or fax. We strongly recommend that you obtain proof of posting or send emails with ‘read receipt’. Please note that cancellation charges will be payable depending on when we receive your written notification. The cancellation deadline date is related to the starting date of the service booked and the cancellation penalty amount depends on the total payable amount for the reservation. These cancellation deadline date and penalty amount may vary for different services, different hotels, listed in our web site and different periods of the year. Please pay attention to these cancellation terms when you make your booking, to avoid cancellation or no show penalties. If you cancel your booking before the cancellation deadline, 15 Euro cancellation penalty will be applied and you will receive back in the rest of the amount of the transferred funds. In case you cancel your booking after the cancellation deadline term, the cancellation penalty stated during the booking process will apply. You cannot cancel your reservation after the starting date of the service. The refund can be made only to the same credit card or PayPal account, used for the payment. Please ensure that any complaint you might have whilst on holiday is reported to the BeachBulgaria.com / Silky Holidays Representative or Agent locally and to the supplier of the service in question immediately, so that it can be dealt with on the spot. BeachBulgaria.com/Silky Holidays and the supplier must be afforded the opportunity to address any concerns you may have whilst you are still on holiday. We cannot accept liability in respect of any claims or complaints which are not notified to ourselves and any supplier involved entirely in accordance with this clause. We have no control over the behaviour of persons staying or visiting your holiday accommodation (including persons who have themselves booked through Silky Holidays) and we are not responsible for any withdrawal or impairment of facilities or other loss or damage caused by them. There may be times when your Silky Holidays representative is unable to resolve your complaint immediately. Whilst we appreciate this may be frustrating, we do expect you to act in a reasonable manner towards our staff and we will take action against anyone who displays intimidating or threatening behaviour. We would point out that failure to follow the above procedures may reduce or extinguish any rights you have to claim compensation from us, or from any relevant supplier. Any such rights will be reduced or extinguished if, had you followed the above procedures, you or we could have taken steps to reduce any loss or damage suffered or entirely prevented it from being suffered. from carrying out a proper investigation. You must communicate any complaint to the supplier of the services in question as well as to our representative without delay and complete a report form whilst in resort. If this is not done we will have been deprived of the opportunity to investigate and rectify your complaint whilst you were in resort and it may affect your rights under this contract. and we may refer such claims to the police for their investigation. All accommodation prices for reservations are quoted per room per night based on standard room occupancy (for example - 1 person for a single room and 2 persons for a double). Prices and discounts for additional persons, children, as well as food supplements are usually quoted per person. On the booking page, once you specify all booking details, the final price is quoted. There are no additional fees, no extra costs, and all rates include VAT for all hotels, which means no hidden charges when you book through our website; However, if you are still uncertain or some questions or concerns arise, please, do not hesitate to contact us, we are here for you. This depends on each hotel’s policy and availability. Once you have become aware of the availability for a specific hotel for the requested dates and if the possibility and the cost of an extra bed in the room are not specified in the hotel’s page description, please, do not hesitate to submit your enquiry to us, we will be more than glad to assist you. The following facilities will usually incur a local charge, unless otherwise stated in the hotel descriptions: Baby-sitting, tennis, table tennis, pool tables, safety deposit boxes, health centres, entry to discos / nightclubs, use of swimming pools, gymnasium / sauna, there is usually a small charge to pay for all public toilets, even those located in hotels. The prices for this type of holiday are valid at the time of booking only and are subject to availability. Changing your accommodation in resort is subject to the current price, availability and the relevant administration/cancellation charge. The board arrangement for each hotel or holiday is clearly shown in the hotel description. Bed and breakfast denotes bed and continental breakfast usually from a buffet selection. Half board denotes breakfast and evening meal; full board denotes breakfast, lunch and evening meal. Self-catering accommodation is provided with a kitchenette. In some hotels all meals are served buffet style, and when this is known in advance it is detailed in the website. Please note however that our suppliers reserve the right to change the meal basis from buffet style to table service or vice versa. The choice of meals for vegetarians or those requiring other special diets is very limited, usually restricted to salads and omelettes.. If a special diet is essential for you, we may have to decline your booking. Please also remember that meals for infants are paid for locally. We are aimed at the utmost satisfaction of our loyal and potential clients, so we provide the best available rates for the dates of your stay. Our discounted rates are are valid only for reservations made online and they are not valid for reservations, made directly at the hotel. Special discounted deals are also on offer for early bookings, last minutes, city breaks, weekend specials, long stay, groups, meetings etc. Please, post a comment on Bulgaria beach holiday booking conditions.